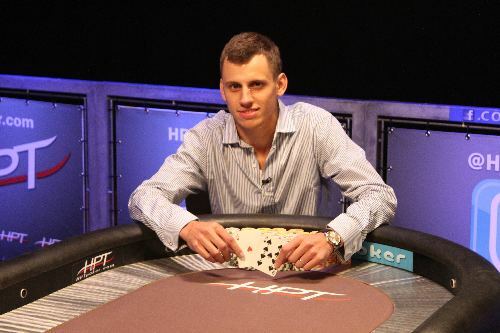 Phil Collins defeated a stacked final table to capture the HPT Palms event. 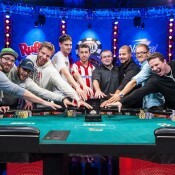 While overall event turnout was lower than expected, the HPT Palms event produced the strongest final table in tour’s history. The event was captured by 2011 WSOP November Niner Phil Collins, who banked $71,556 for the win (and celebrated at N9ne Steakhouse afterwards, where he hopefully got the S’mores for desert). 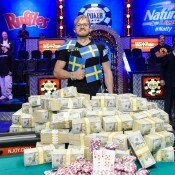 He defeated the out-spoken/attention-grabbing Canadian Matt Marafioti ($41,570) heads-up for the title. Steve Gross finished third ($25,897), bracelet-winner Leo Wolpert fourth ($22,489), Dan O’Brien fifth ($17,173), and current HPT POY points leader Terry Presley sixth ($14,666). * Post done with no references to any Phil Collins or Genesis songs, a first.